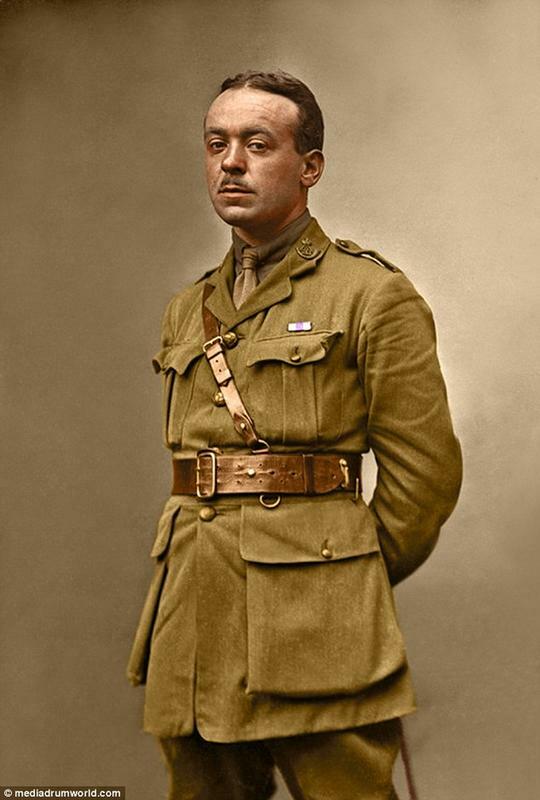 Incredible Images Discovered in a French Attic After 100 Years. 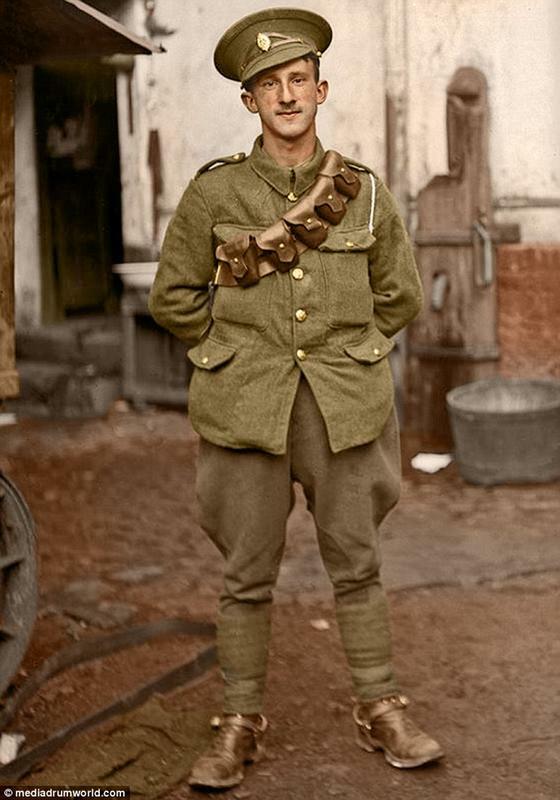 Is One of These Brave Tommies Your Ancestor? 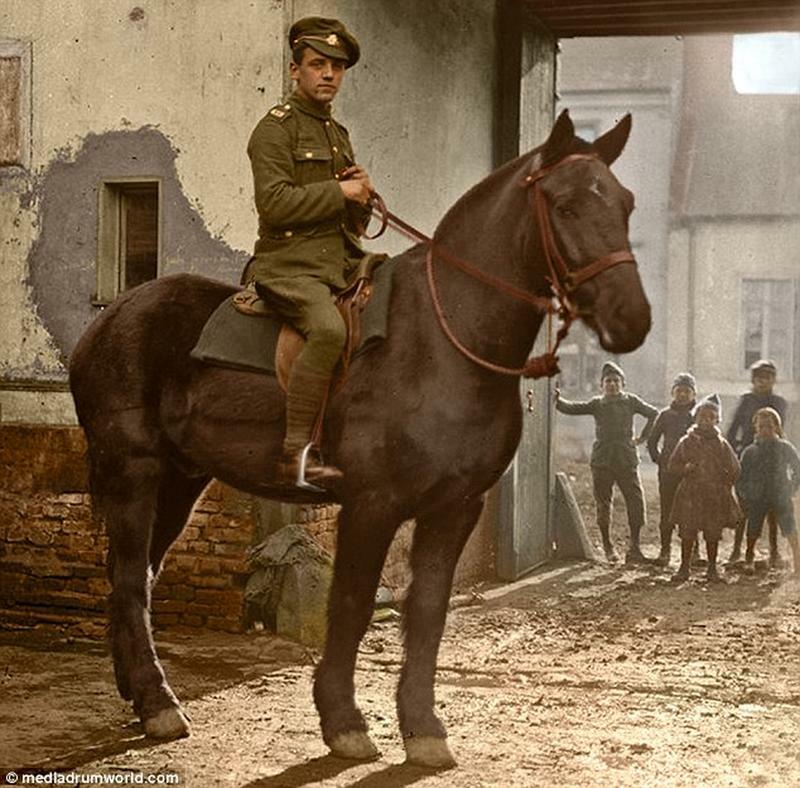 The 4,000 images of anonymous Western Front troops were uncovered almost a century after they were taken, having lain hidden in an attic in a farm house in northern France. 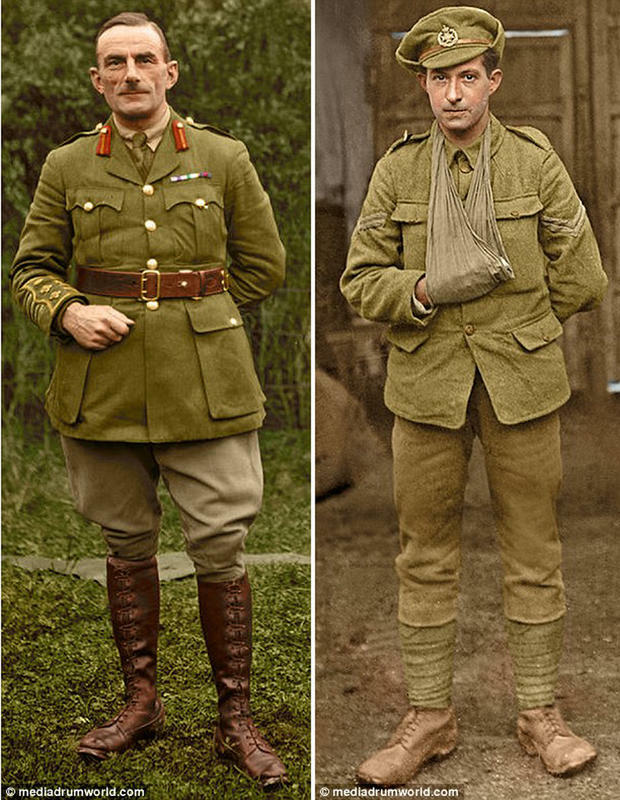 This incredible collection of photos have meticulously been restored by a team of researchers led by Australian journalist Ross Coulthart for his book 'The Lost Tommies'. 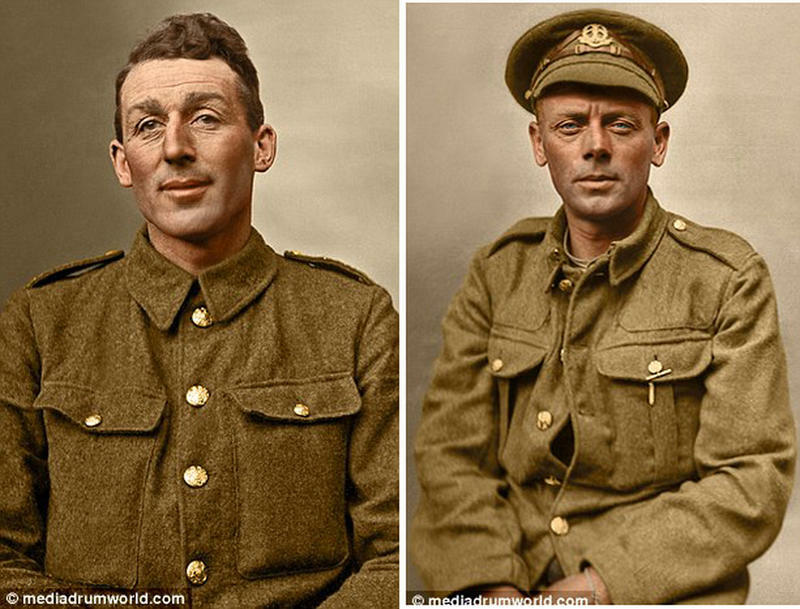 And now for the first time a sample of the best quality images have been painstakingly brought to life by colourisation expert Tom Marshall, in a haunting testament to the brave but mostly unidentified soldiers from the brutal war. For much of the First World War, the small French village of Vignacourt was always behind the front lines - as a staging point, casualty clearing station and recreation area for troops of all nationalities moving up to and then back from the battlefields on the Somme. 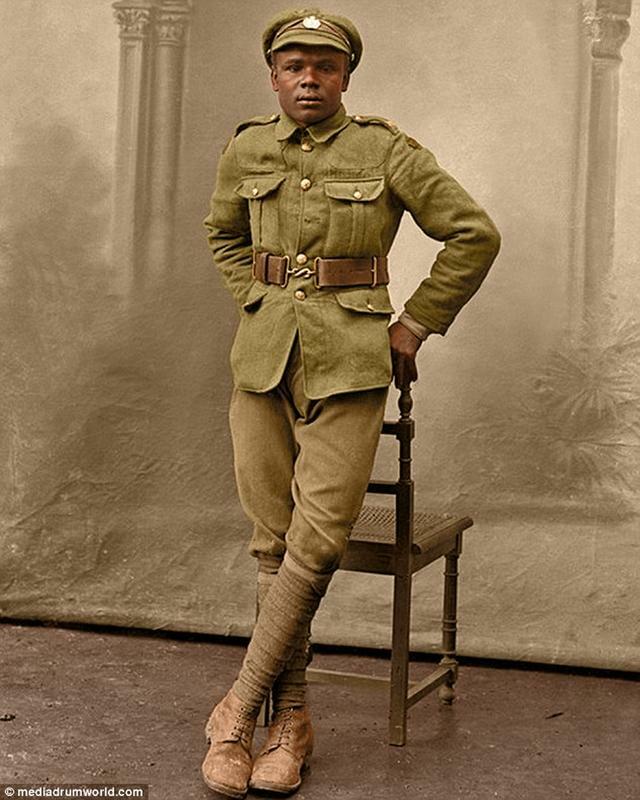 It was here that local couple Louis and Antoinette Thuillier hit on the idea of taking portrait photos of soldiers passing through the town to send home to their worried families. 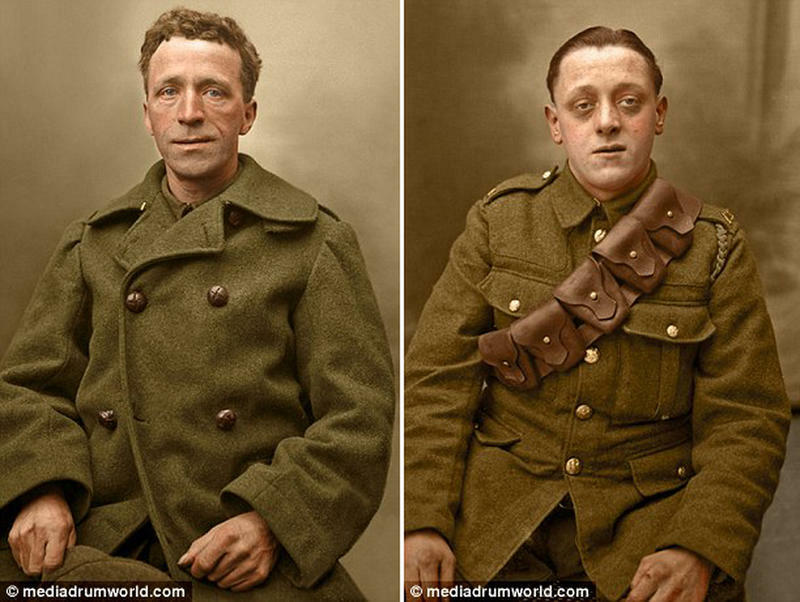 The photos were captured on glass and printed into postcards to be sent back to Britain, allowing soldiers to maintain a fragile link with loved ones at home. 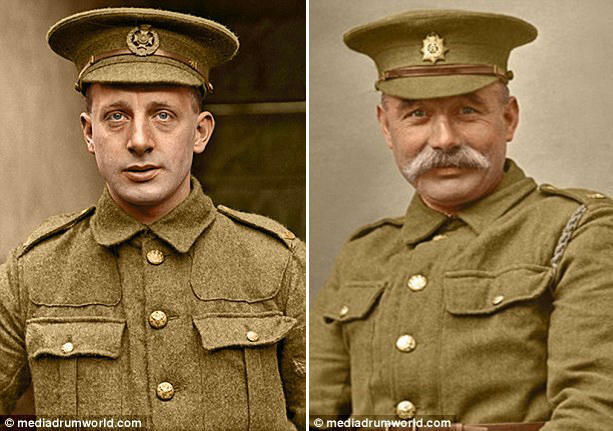 'Of the hundreds of pictures, I chose these particular ones because of their clarity and crispness of the faces,' said Mr Marshall, 28, from Much Wenlock, Shropshire. 'I believe that colour can add another dimension to a person's face and aid in recognising family resemblances in old photographs. 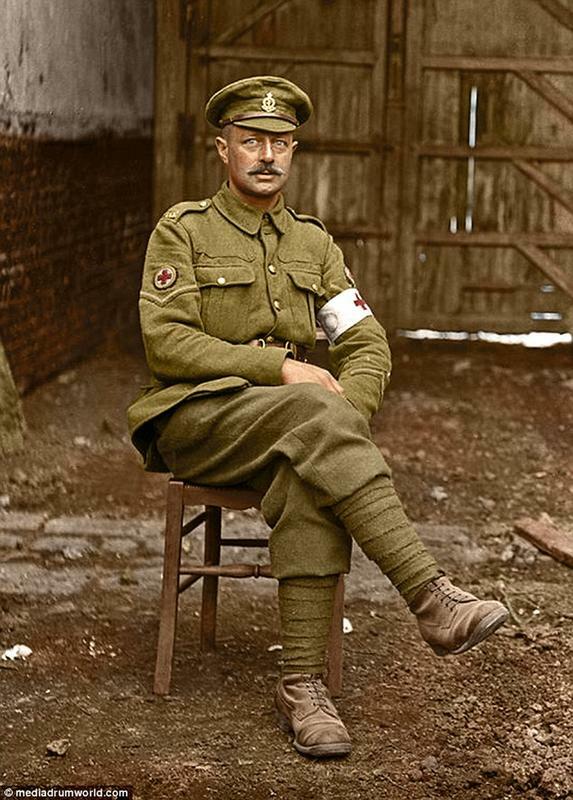 'Hopefully this will help the campaign to identify the lost Tommies. 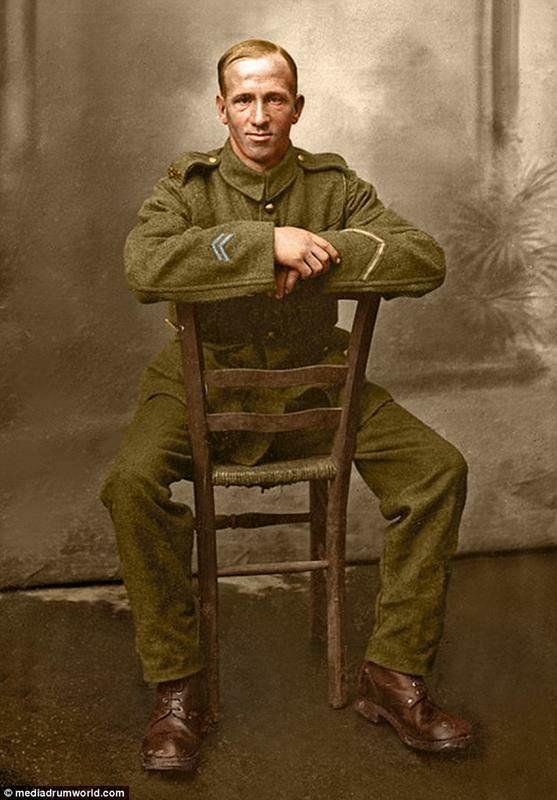 As a professional, Tom was approached to colourise a portion of the collection hoping this could make identifying some of the soldiers easier for the public.